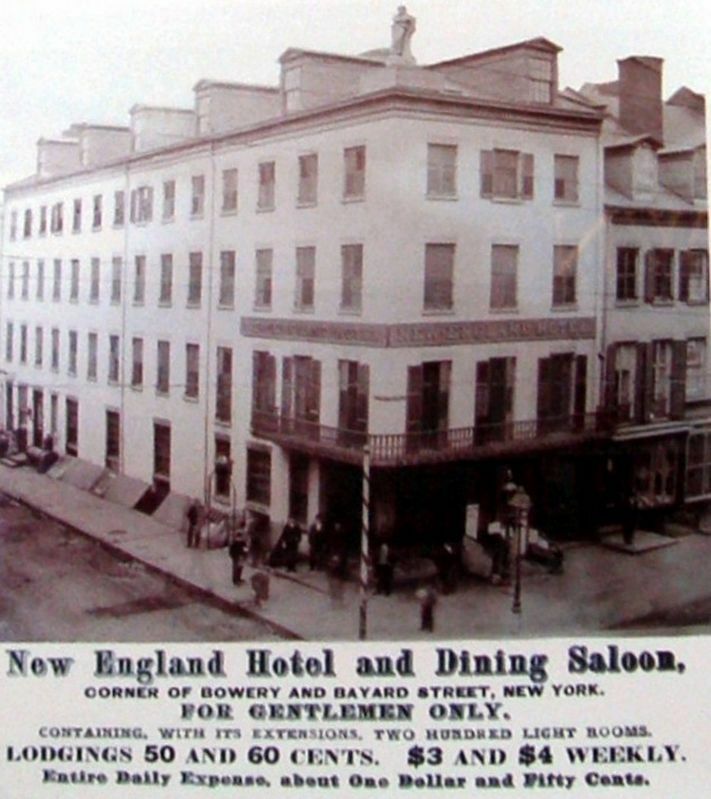 In the 1800’s this was the site of the New England Hotel, the final home of America’s first great popular songwriter, Stephen Foster (1826-1864). 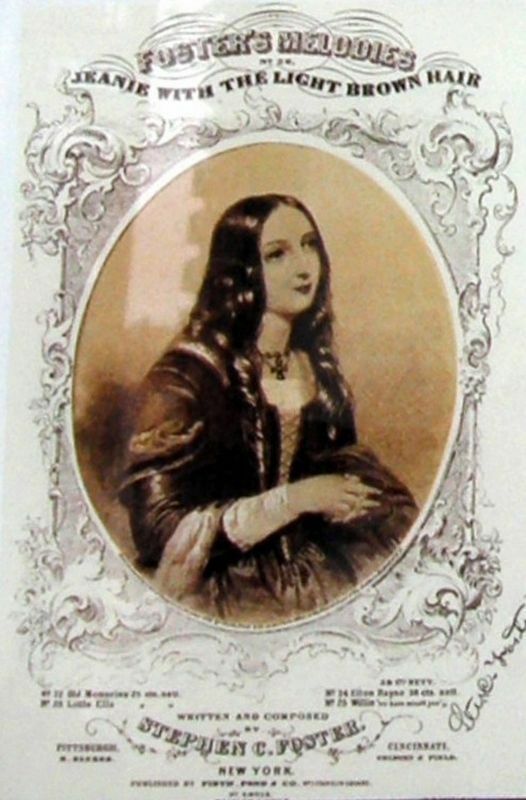 Foster composed over 200 songs, many of which have passed into the American Canon. 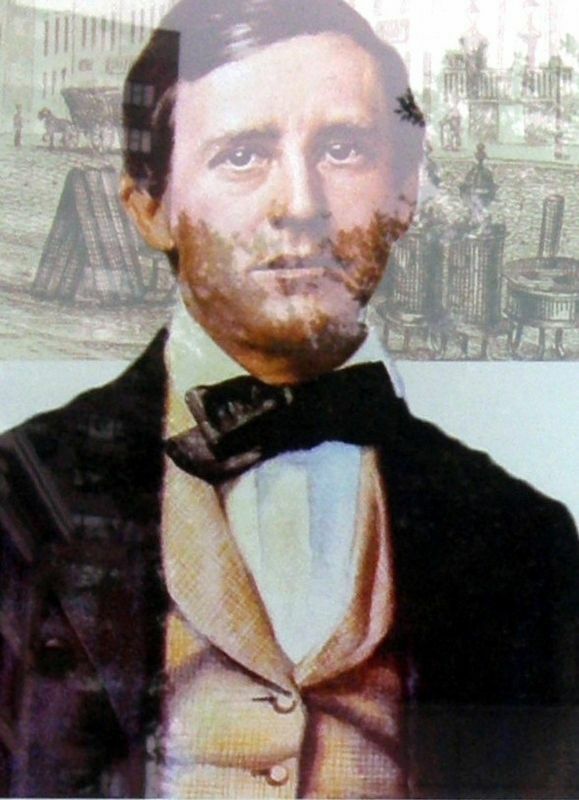 They include “Camptown Races,” “Old Folks at Home,” “My Old Kentucky Home,” “Beautiful Dreamer,” “Jeannie with the Light Brown Hair,” and “Hard Times Come Again No More.” His “Oh Susanna,” forever changed the history of American popular song, selling over 100,000 copies at a time when the previous best selling song had sold no more than 5000 copies. Alcoholism deeply affected Foster’s short, tragic life. he sold many of his best songs for a pittance. When he died in this hotel, he left an estate of less than one dollar. Location. 40° 42.914′ N, 73° 59.814′ W. Marker is in New York, New York, in New York County. Marker is on Bowery near Bayard Street, on the right when traveling south. Touch for map. 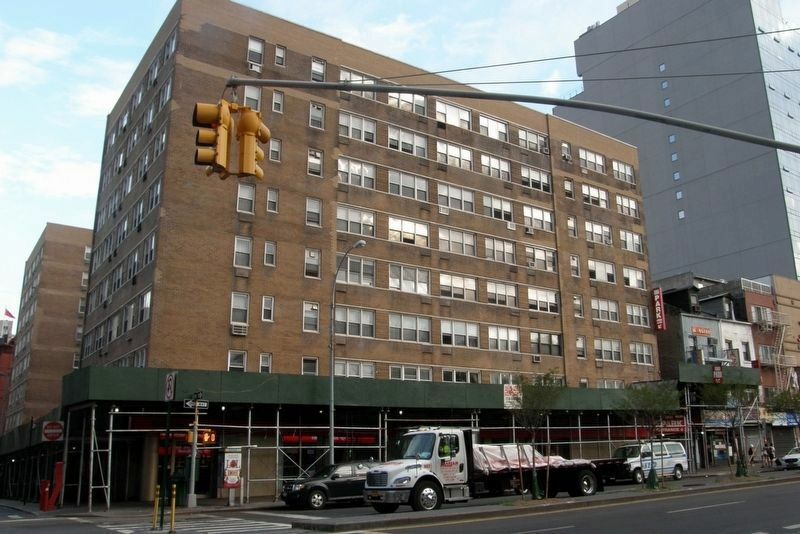 Marker is at or near this postal address: 30 Bowery, New York NY 10013, United States of America. Touch for directions. Other nearby markers. At least 8 other markers are within walking distance of this marker. High and Low Art (within shouting distance of this marker); The Bowery Boys (within shouting distance of this marker); Lost New York Gem (within shouting distance of this marker); The Bowery Theatre (within shouting distance of this marker); George Washington Drank Here! (within shouting distance of this marker); NYC’s Oldest Brick House (about 300 feet away, measured in a direct line); Birthplace of Modern Tattooing! (about 300 feet away); Renaissance-Inspired Bank for the Working Class (about 300 feet away). Touch for a list and map of all markers in New York. "Jeanie with the Light Brown hair"
More. 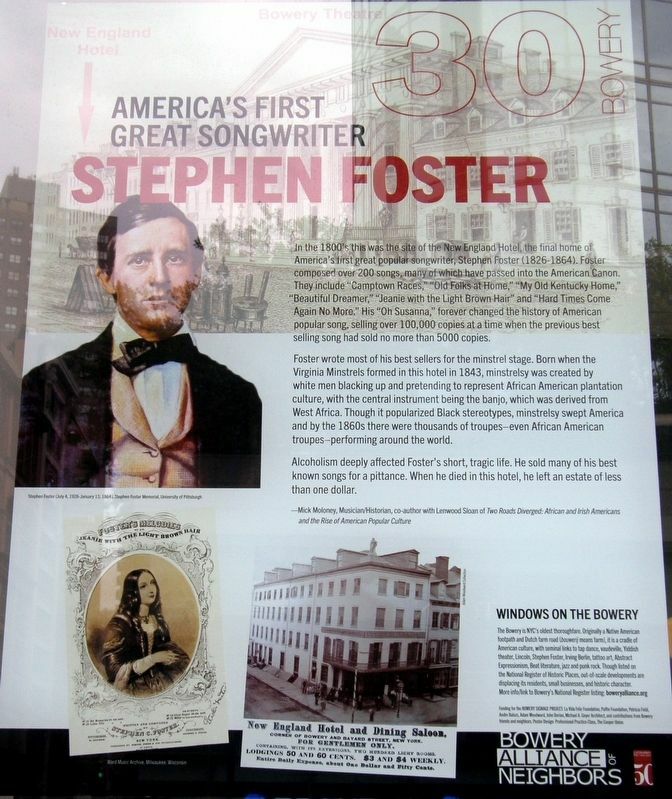 Search the internet for Stephen Foster. Credits. This page was last revised on April 17, 2019. This page originally submitted on April 13, 2019, by Larry Gertner of New York, New York. This page has been viewed 33 times since then. Last updated on April 17, 2019, by Larry Gertner of New York, New York. Photos: 1, 2, 3, 4, 5. submitted on April 13, 2019, by Larry Gertner of New York, New York. • Bill Pfingsten was the editor who published this page.